You might say that layering is a mix of art and science (but definitely not of the rocket variety). Pick three to four pieces (any more, and you risk looking bulky) and balance your look with colors and patterns that work well together. 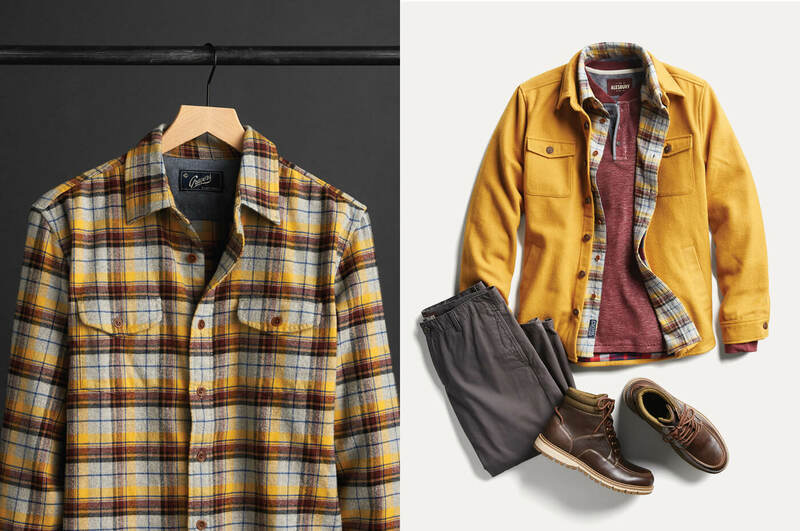 Toss in fabric and textural variety, and boom, you’re layering like a pro. As functional as they are stylish, check out this season’s key layer players. 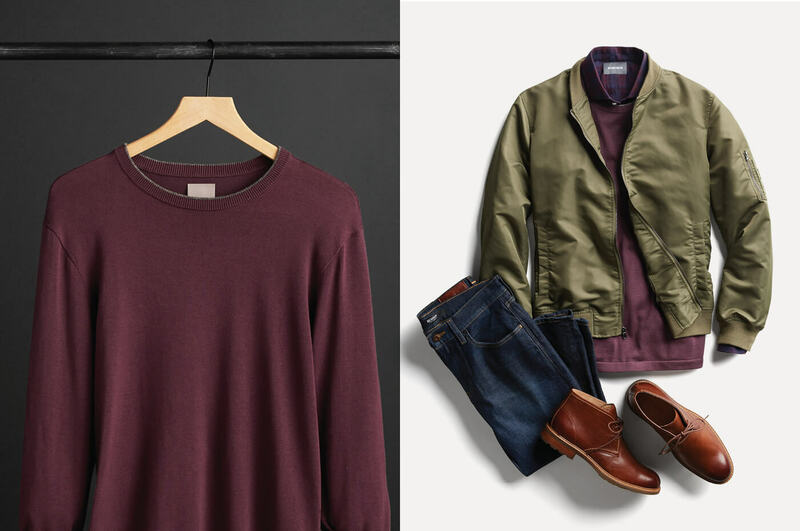 Sure, a jacket will keep you warm when the weather turns chilly, but if you want to fully master the layered look, start with a thin, light piece, such as a cotton tee. Follow it with a medium weight chambray shirt and finish with your bulkiest piece. 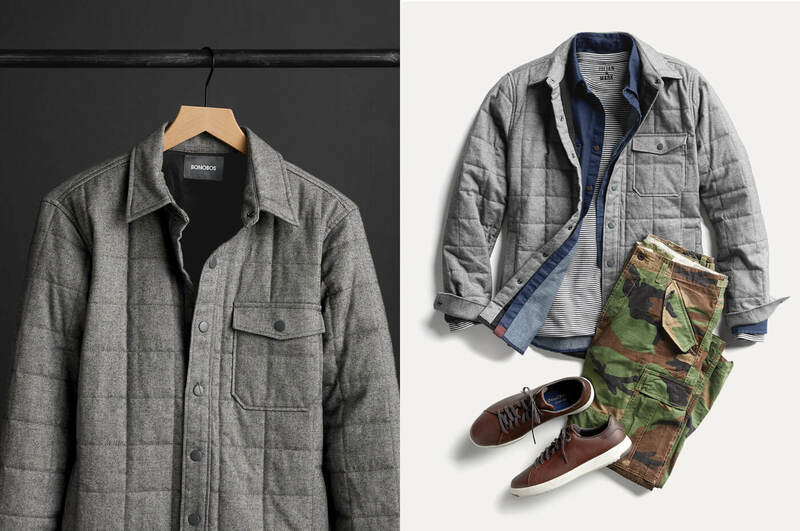 Try a quilted jacket in a classic herringbone pattern. Keep your colors neutral up top and go for an earthy camo pant and sleek leather kicks below for an easy-going outdoor look that can also be paired down to work indoors. One of the benefits of layering is that should you heat up (you step into a bar with your bros), it’s easy to peel off a layer or two and still look put together. Again, start with the lightest layer first. A collared shirt, followed by a sweater in a similar color, looks sleek and sophisticated but not over-the-top. Add a bomber jacket in olive and finish with a pair of dark-wash jeans and every guy’s favorite smart casual boot, the Chukka. Hailing from from the town, Henley-on-Thames, across the pond in England, the henley shirt started as the uniform of choice for the local rowing team. Today, it’s a smart alternative to the basic tee, and works just as well on top as it does under your other layers. We like the look of a thermal knit henley in a muted shade layered under a plaid shirt and fleece lined, bold-colored jacket. Round it out with relaxed-fit trousers and mock hikers. Jolly good, mate. 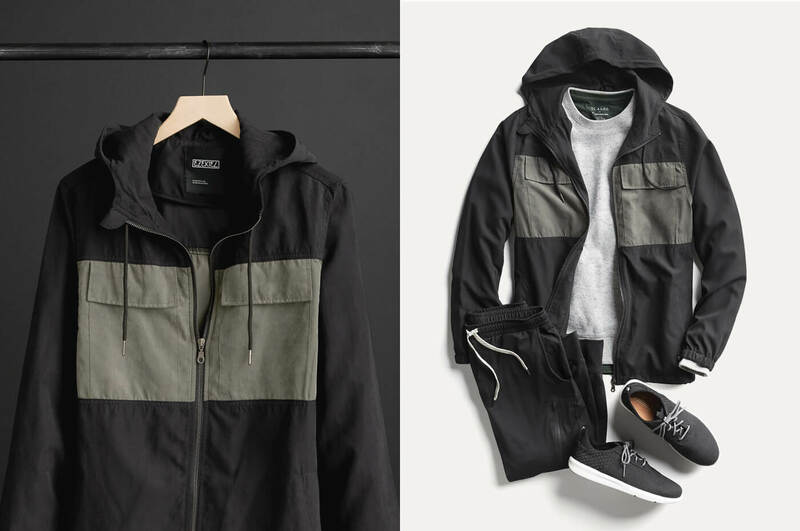 When it comes to athleisure wear, layering turns an otherwise basic ensemble into a street smart combo. Stick with neutral colors (black and white play well together). Start with a lightweight track jacket over a warm fleece pullover. Add a comfortable pair of drawstring joggers––not the loose sweatpant style left over from high school, but today’s more popular tailored cut. Complete the look with simple kicks in slate grey. Form and function. Done and done. Think of it as a sleeveless jacket (because essentially, it is). A vest, whether it’s a knit, fleece, or puffer is the perfect casual complement for any cool weather activity—even if you’re just walking from your car to the market. Again, three is the magic layering number here. 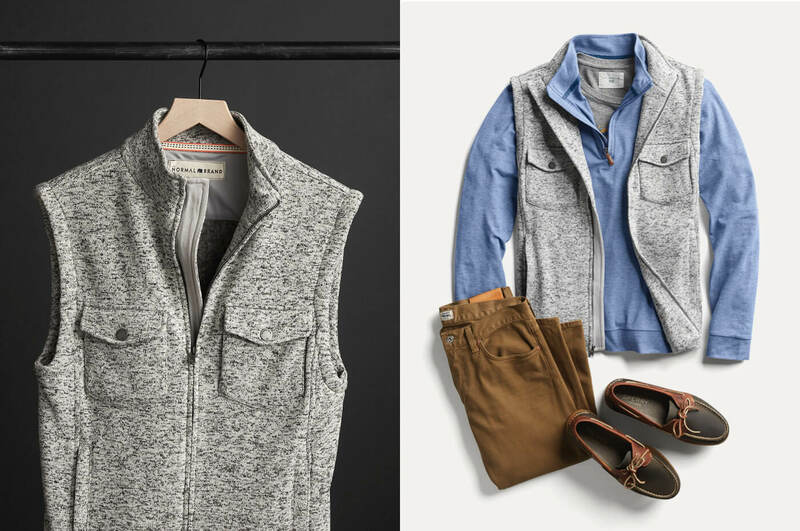 Start with a basic tee, top it with a comfortable performance knit and finish with a fleece vest. Khakis and two-toned leather boat shoes give it polish. 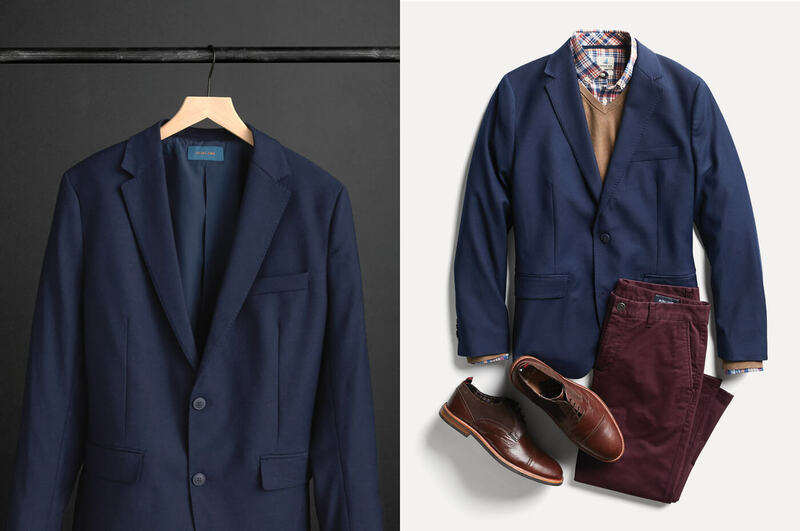 A classic closet staple, the blazer is the ultimate versatile layering piece. Depending on what you’re sporting underneath, it can skew informal or formal. To hit the smart casual sweet spot, give your look a little prep start with a plaid twill button-down shirt. A V-neck cotton sweater in a neutral hued tones down the pattern and sets up your blazer for instant style success. Stretch- chinos and leather Oxfords add refinement. Tone it down a notch with jeans and sneaks. Now that you’ve got the idea(s), schedule a Fix ask your Stylist to send you a box full of layer-friendly pieces.